In November 1914, the great Nicaraguan poet Rubén Darío arrived in New York from Europe; he would remain in town the whole winter, leaving for Central America in April of the following year. He had already visited the city on two occasions, in 1893—when he befriended Cuban poet and revolutionary José Martí—and 1907. But this sojourn is particularly significant for two reasons: it would be his last one (Darío died in Nicaragua in 1916 of an illness probably derived from his chronic alcoholism), and it would provide the occasion for a brief but intriguing reference to North America's most beloved holiday. Darío, who had been residing in Paris for most of the new century, left Europe in bad health and heartbroken by the war that was ravaging the very pillars of the civilization he so deeply cherished. He expressed this sentiment in his poem "Pax! ", which he started in Barcelona while waiting to embark for New York and completed on this side of the ocean. 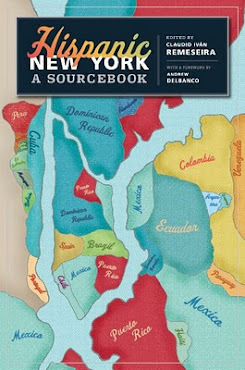 New York was to be the first leg of a speaking tour of the Americas organized by Darío's personal assistant Alejandro Bermúdez. In pushing his boss into a voyage that would eventually prove too stressful for his declining health, Bermúdez—a former Secretary of the Nicaraguan embassy in Washington and one of the most controversial figures of Darío's entourage— might have been driven a bit too much by his own self-interest. Fortunately another fellow Nicaraguan, poet Salomón de la Selva, who apparently knew Darío from Paris and who would develop a close friendship with him, was also around to oversee Rubén's well being. It was apparently Bermúdez who introduced Darío to Archer Milton Huntington, the founder and director of the Hispanic Society of America. 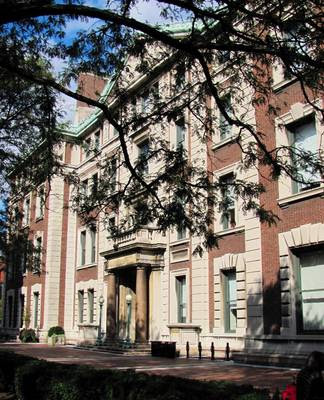 Huntington in turn introduced them to the authorities of Columbia University, who invited the two Nicaraguans to give a lecture in campus. The lecture, entitled "The Horrors of War, The Necessity of Peace and The Means of Obtaining It," took place at Havemeyer Hall on February 4, 1915. First, Bermúdez gave a lengthy speech on the international-politics side of the issue. Darío wrapped up the session reading his poem "Pax!". Before reading the poem, Darío made a short introductory remark: "Amidst the echoes of war, I will read a poem of Peace. You will find in it a markedly religious character that suits all too well to this huge country, a country that despite its vast practical conquests and constant material struggle is the only one in the world to have a Thanksgiving Day". "It was in 1898, with the Spanish-American War, that Darío's and Modernismo's politics jelled. While he and other Latin Americans applauded the liberation of Cuba, Puerto Rico and other colonies from the crumbling Spanish empire, they became keenly concerned about the emergence of the United States as a new imperial power. The United States had not only crushed the Spanish army but also, by casting aside the Cuban liberation army, stunted the island's potential political growth and freedom. To Darío and the Modernistas, the Spanish world seemed helpless in the face of American expansionism, not only in politics but, even more important, in culture. Countries that traced their cultural and religious roots back to Rome would now be taken over by a colonial power that was Anglo-Saxon and Protestant and that espoused a pragmatic approach to material progress that was dangerously at odds with their culture. It was José Enrique Rodó, not Darío, who forcefully articulated this widely shared anxiety in Ariel (1900), the most influential essay ever written in Latin America. 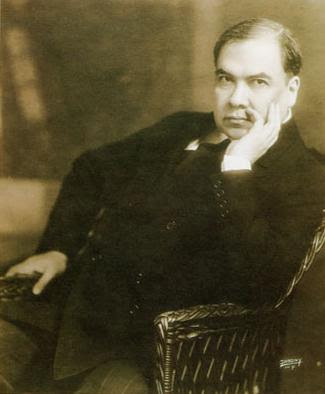 Rodó, an Uruguayan Modernista and an admirer of Darío, argued that the Latin countries ought to remain faithful to their common culture, a civilization of the spirit (hence 'Ariel') that, in contrast to the United States, valued art and good taste rather than economic growth and consumer products. Darío echoed this position in rousing poems such as "A Roosevelt," where he speaks on behalf of an America that "still prays to Jesus Christ and still speaks the Spanish tongue." The 'still' shows Darío's fear for the future of Latin America: He calls the United States in this poem 'el futuro invasor,' the future invader." Would Darío have developed a more sympathetic view of the United States had he lived longer? It is of course impossible to answer that question. Yet the brief but moving reference to Thanksgiving Day during his Columbia lecture as well as an effusive call to Pan-American unity in the last stanza of "Pax!" seem to suggest so. 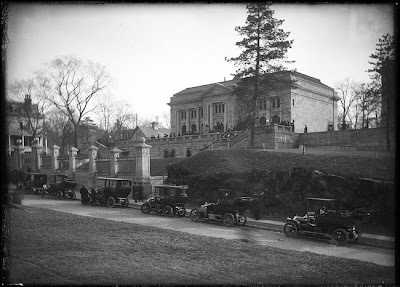 After Darío's death, de la Selva sent Mr. Huntigton the manuscript of "Pax!," which is now at the archives of the Hispanic Society of America. Huntington would later commission de la Selva and Thomas Walsh the translation of a sample of Darío's poetry, which was published by the HSA under the title Eleven Poems. The volume's introduction was written by a young Dominican who would later become one of the most important Spanish-language literary critics of the 20th century: Pedro Henríquez Ureña.